I had a chance to attend the Hayden-Harnett presentation entitled “Lava Fields of Love” with friend and designer Steven Cutting. Hayden-Harnett is a Brooklyn based business in Greenpoint. You know I love that! 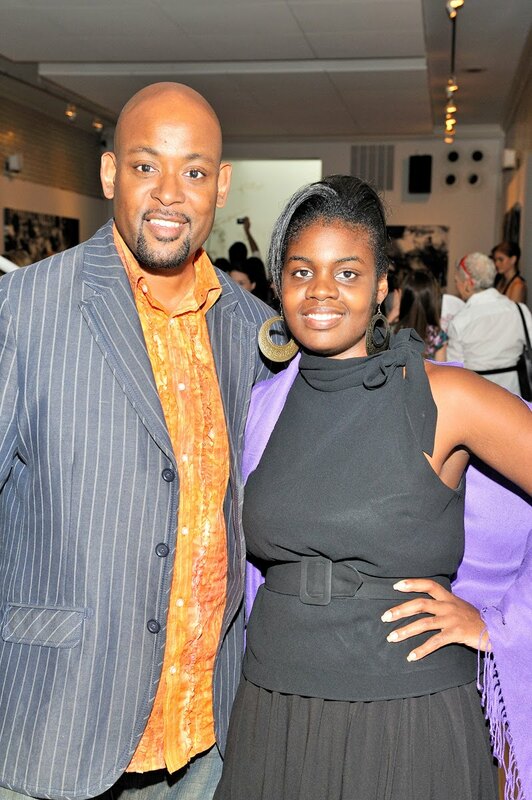 I was able to speak with Toni, the designer, pictured to the left. I asked her what her inspiration was for the colors and textures. 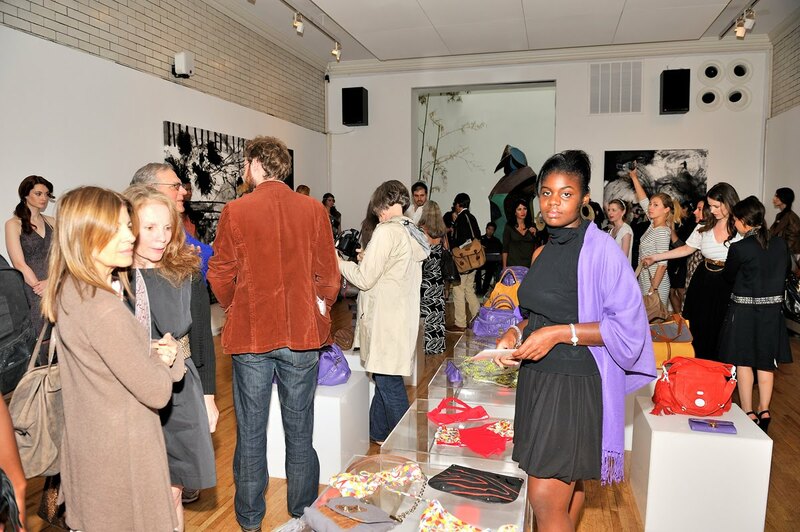 She explained ” My team and I looked at natural materials, modern nomads, lava fields and barren landscapes as the inspiration for the looks.” I often have designers coming to me asking for assistance in finding investors or just wanting to know if it is feasible in this economic climate to start a line. So, from a designers point of view I asked what advice she would give new designers. 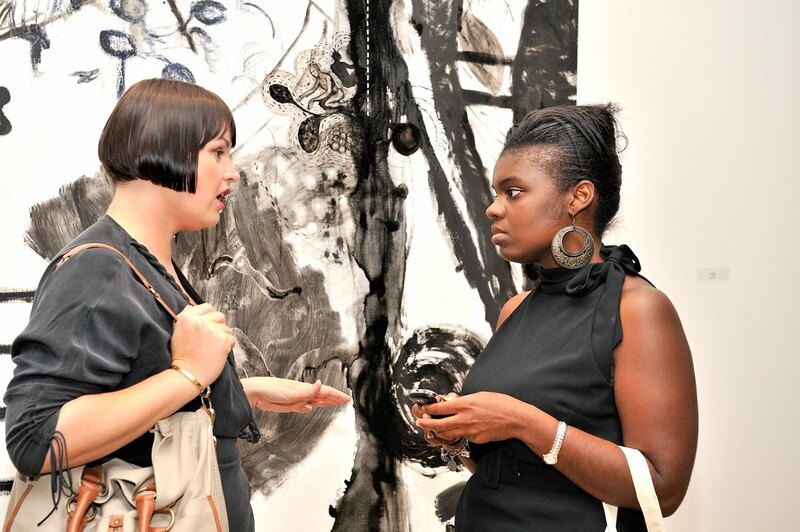 She stated “That new designers should be true to their singular unique voices. People are still looking for the next new thing!” You hear that designers, don’t give up! It was a great presentation of the line with serenading by the Opera Company of Brooklyn. Who knew Brooklyn had an Opera Company! Overall, I loved the leather bags and jackets! The color scheme was beautiful, I see purple! My fav dress was the Blake Dress in Grenadine. HOT! Click on the link http://www.billshatto.com/danalee/hayden-harnett to see more pictures of the Hayden-Harnett Line! 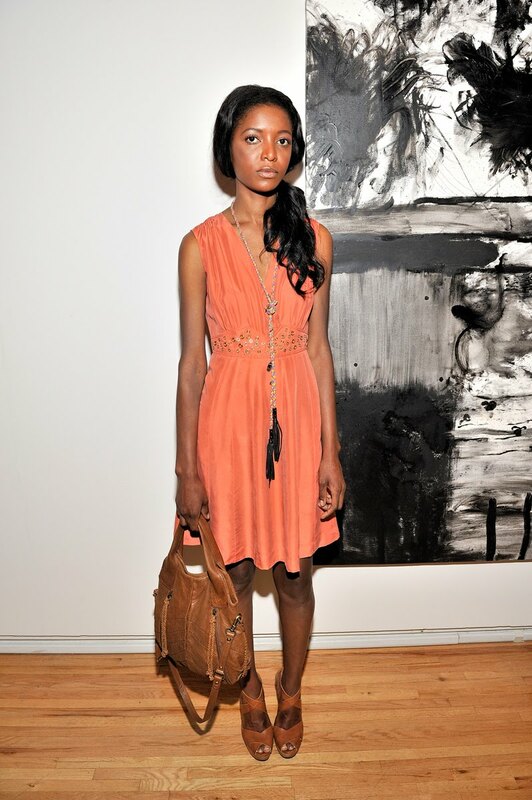 Love that orange leather bag. 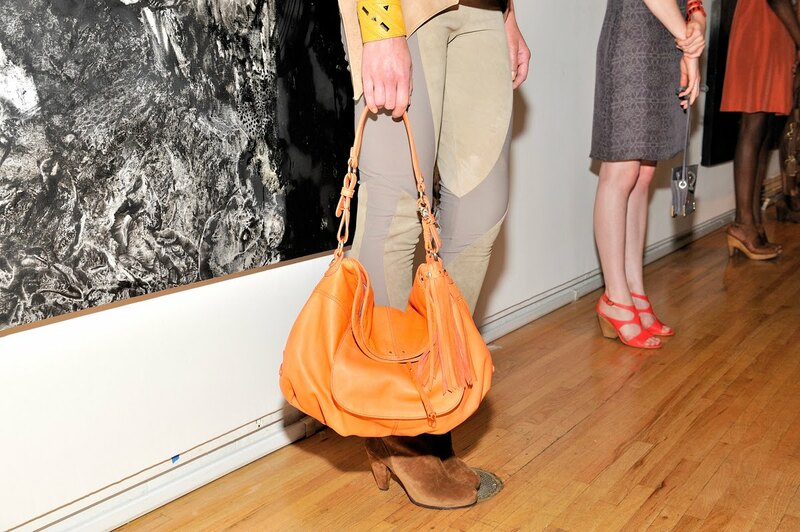 Modeling Hayden-Harnett…love the peachy orange color hues coupled with the brown shoes and handbag! Steven Cutting and The Fashionista! I got the inside scoop on what he’s been up to!